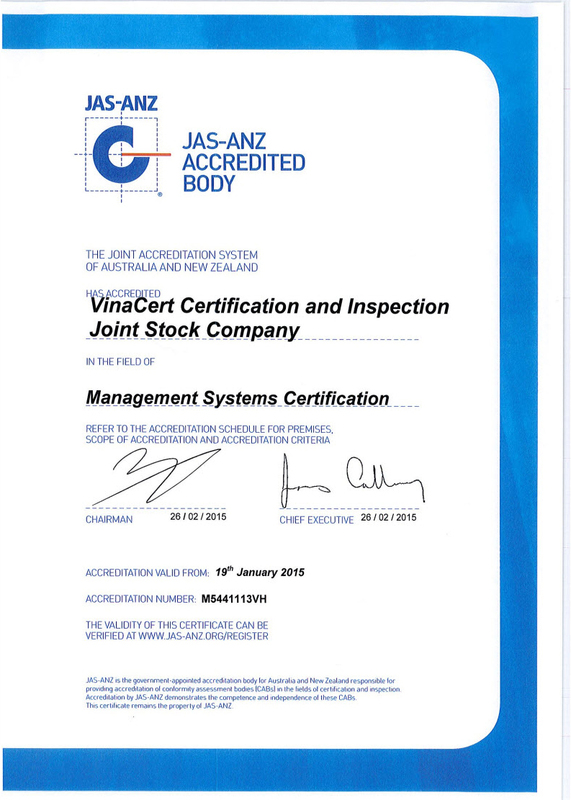 Why choose ISO 9001 Certification of VinaCert? Directorate for Standards, Metrology and Quality - Ministry of Science and Technolnhaanjhas certificated VinaCert for certification activity registration in the field of quality management system to ISO 9001/TCVN ISO 9001. Registration No.03/CN. (Certificate No.1457/TDC-DGPH).